Here are the best kosher deals this week at Target for KOAB readers, courtesy of Kelly at Kansas City Mamas. Be sure to visit her blog for the full Target match-up. Remember, Target allows you to stack a manufacturer coupon with a Target store coupon to get the best savings. There are also a number of nice non-coupon deals, including a five-piece set of outdoor patio furniture for $248 after $50 gift card and Buy One Get One 50% Off on select toddler and big kid sandals. 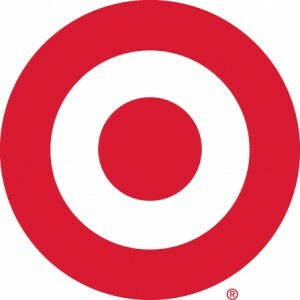 Check the Target ad online for details. Target has some awesome deals this week even without coupons ( in Baltimore) Like a $27 water table for kids, and a $16 electric snow cone maker( no Snoopy hand cranked torture device) and best of all they have a gorgeous little girl modeling in their pool section with Down syndrome, and that just warms my heart and makes me want to only shop at Target! Thanks so much for pointing her out Sheva – now I have to go look for her. We got that splash table last year on sale at TRU, and it’s been a hit not only with my toddler, but with my bigger kids – go figure!